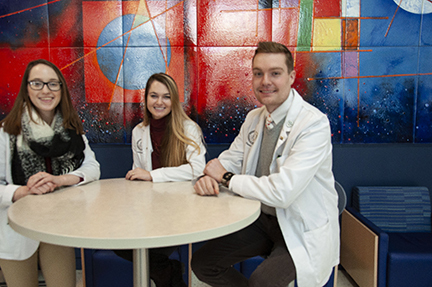 PharmD students Melanie Umbaugh, Seana Armstrong and Vincent Piro, (class of 2021) have been accepted to the inaugural class of the Panthers Forward Program. Panthers Forward is an innovative new program designed to support the Pitt Community with meaningful mentor-ship and networking opportunities. Program participants will receive up to $5,000 of student loan forgiveness and guidance from a Pitt Alumni mentor. In return, Panthers Forward students will “pay-it-forward” to support future program participants through mentorship and financial contributions.